There are a growing number of Cordis IVC filter lawsuits being filed in California state court over problems with the OptEase and TrapEase devices. Cordis Corporation makes the OptEase and TrapEase IVC filters, which are designed to prevent pulmonary embolisms Unfortunately, recent studies have found alarming rates of filter fracture, perforation, migration, and tilting when the filters are not removed after a few months. 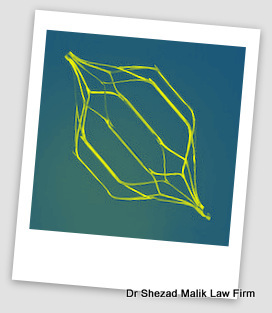 The Dr Shezad Malik Law Firm is currently accepting Cordis OptEase and TrapEase IVC filter injury cases nationwide. If you or somebody you know was injured by an IVC filter that broke or moved, you should contact our lawyers immediately for a free case consultation. Please use the form to contact our law firm or call toll free 24 hours a day at 888-210-9693 ext. 2. Our law firm is currently investigating Crdis IVC Filter Side Effect cases nationwide, including California, Florida, New York and Texas. What are Cordis IVC Filters? Cordis Corporation makes two IVC filters, the OptEase and TrapEase. These devices are implanted in the inferior vena cava (IVC) to block blood clots from the leg before they cause pulmonary embolism. The Cordis TrapEase is a permanent vena cava filter, which was approved by the FDA in 2001. The Cordis OptEase is a retrievable vena cava filter, which was introduced in 2003. Cordis IVC filters are designed to be temporary, and they were approved with a FDA 510(k) process that said they were “equivalent” to the Bard Recovery IVC filter, which was recalled in 2005, and the Cook Günther Tulip. Both of these Bard and Cook filters have been associated with high rates of filter fracture, perforation, migration, and tilting. About 200,000 blood-clot filters are implanted nationwide each year. The market for IVC filters is $435 million, according to market research firm Axis Research Mind. Cook is one of the nation’s largest makers of blood-clot filters. It is one of three leading firms in the industry, along with New Jersey-based C.R. Bard Inc. and the Cordis subsidiary of California based Cardinal Health. Temporary vena cava filters can cause severe complications when they are not removed. The rates of filter fracture, perforation, migration, and tilting increase the longer they remain implanted. The FDA recommends that implanting physicians and clinicians responsible for the ongoing care of patients with retrievable IVC filters consider removing the filter as soon as protection from pulmonary embolism is no longer needed. The FDA encourages all physicians involved in the treatment and follow-up of patients receiving IVC filters to consider the risks and benefits of filter removal for each patient. A patient should be referred for IVC filter removal when the risk/benefit profile favors removal and the procedure is feasible given the patient’s health status. According to a 2005 study in the Journal of Trauma-Injury Infection & Critical Care, the Cordis OptEase IVC filters increased the risk of puncturing the vena cava wall after just a month, finding that strut perforation through the vena cava wall prevented safe removal after extended periods of time. A Japanese study in November 2011 found that 10 out of 20 patients who were implanted with the Cordis TrapEase IVC filters had a fractured strut within 50 months of implantation. In March 2013, Cordis issued a Class 1 recall for about 33,000 OptEase IVC filters due to a labeling error that could cause the filter to be implanted backwards. If the fixation barbs are pointing in the wrong direction, there would be nothing to stop the filter from migrating to the patient’s heart. Over 1,300 Bard, Cook and Cordis IVC filter lawsuits have been filed as of August 2016. These lawsuits have been centralized in federal court — about 709 have been filed against C.R. Bard in Arizona (MDL No. 2641) and about 654 more have been filed against Cook Medical in Illinois (MDL No. 2570). Cordis IVC filter lawsuits have been centralized in Alameda County, California, the home of Cordis corporation. To date over 100 lawsuits have been filed in California. The Dr Shezad Malik Law Firm is currently accepting Cordis OptEase and TrapEase IVC filter injury cases nationwide. If you or somebody you know was injured by an IVC filter that broke or moved, you should contact our lawyers immediately for a free case consultation. Please use the form below to contact our law firm or call toll free 24 hours a day at 888-210-9693 ext. 2.